From subscribing to alerts of fare deals to going incognito on Google, travellers go through great lengths to ensure that air fares are as affordable as they can be. Many times, however, it can feel like buying the lottery. Most recently, the air ticket to Korea I had been eyeing suddenly shot up by over S$100 because of my hemming and hawing. According to Skyscanner, Singaporeans lose out on as much as 15% to 31% in savings because many end up booking flights at the last minute. With that in mind, NTUC Income (Income) now has a new insurance policy that aims to put an end to these situations. 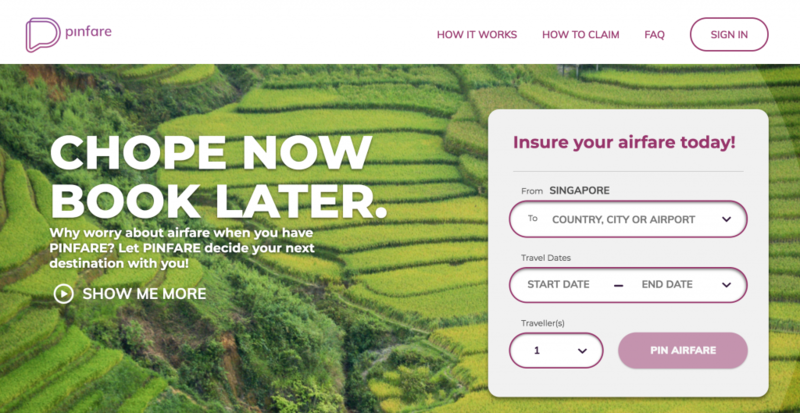 Pinfare is a travel-inspired lifestyle insurance policy by Digital Income, Income’s in-house Digital Transformation Office (DTO). With an aim to address the common dilemma of either: 1. facing the pressure to purchase tickets on the spot; or 2. being subjected to price fluctuations, Pinfare lets travellers ‘pin’ up to three of their desired flight itineraries for seven days. Powered by Skyscanner, Pinfare will provide real-time flight itineraries and prices when travellers search the platform. They will then be able to pin up to three chosen flight itineraries. Once pinned, the traveller will be ‘protected’ from any price fluctuations at the point of purchase within the insured period. In the case when there is a price increase, an insurance claim can be made. To be eligible for the claims, a traveller must purchase the policy at least three weeks from the flight departure date. When insured by Pinfare, travellers will get a daily update on the price of each pinned flight itinerary. 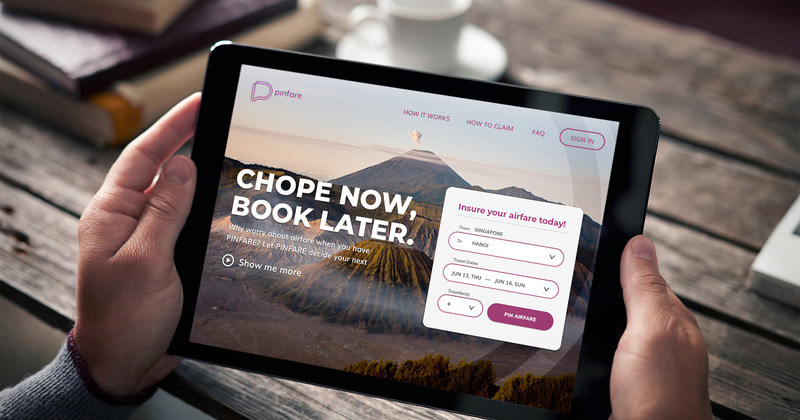 To ensure that the traveller purchases the pinned flight itinerary, and to mitigate the potential of the traveller selecting and purchasing a different flight itinerary, Pinfare will link the traveller directly to airline websites from its platform. This extra step is essential for claim validity. One more thing travellers should know about is its 7-Day Flight Price Index. The 7-Day Flight Price Index is a benchmarked price which claims are based on in the event of unexpected price surge, and when the pinned itinerary is purchased at a higher airfare than the Index. The Index is defined as the lowest price of each pinned flight itinerary daily as stipulated by Skyscanner during the coverage period, plus 10%. When a traveller’s claim falls within the Index, he/she can claim the price difference between the purchases and pinned price, subject to a $10 co-payment. Travellers need to make the claim from the date of the policy purchase within 21 days, and a pay-out via PayNow can be expected within 3 business days from submission. Currently, Pinfare only insures economy flights to six countries including Malaysia, Indonesia, Thailand, Vietnam, Philippines, and Hong Kong, but there are intentions to extend coverage to more countries by end 2019. Find out more about Pinfare here.